AMP Research PowerStep Plug-N-Play Conversion Kit | Buy AMP Research PowerStep Plug-N-Play Conversion Kit at Discounted Price & Free Shipping! Pass Through Harness by AMP Research is specifically designed to work with PowerStep running boards by this brand. This made in the USA. 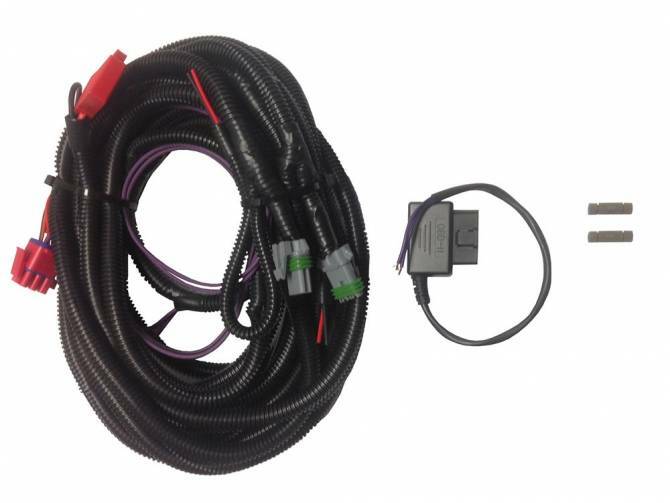 It is connected directly to your OBD II port for a quick plug and play installation; as well as easy diagnostic without unplugging your AMP running boards. AMP Research is here with excellent products that are available at a competitive price. The company does its utmost to provide the best possible solutions for your needs. All products by AMP Research are made with expert care and created by professionals to meet all your requirements. AMP Research does not accept compromises when it is going about quality; so you can be sure that all products have only first-rate quality. With many years of manufacturing experience; AMP Research is the name you can trust.